Premier Li Keqiang called for innovative ways to relocate poverty-stricken families to a more habitable location during a visit to Zhaotong, Yunnan province, on Jan 23. Premier Li called for innovative ways to relocate poverty-stricken families to a more habitable location during a visit to Yunnan. In Yujiadachong village in suburban Zhaotong, Premier Li sat beside a fire pit with villagers whose houses cannot withstand wind and snow. He called on local governments and residents to work together to shorten the relocation process to improve their living conditions. Villagers in Yujiadachong rely on growing corn and potatoes, and some work in cities to earn extra income. 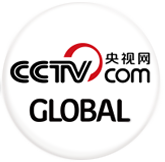 The per capita income was only 3,044 yuan ($445) last year. The barren land is no longer suitable for living on, and the villagers should be relocated with more government support, including favorable policies and funds, Premier Li said. People in the far-flung village will be moved in March to new houses in a place with convenient transportation, as part of Yunnan’s target from last year to relocate 677,000 people below the poverty line at a cost of 23.9 billion yuan. The local government will pay half of the cost of building new houses, and villagers can get interest-free loans of up to 60,000 yuan for three years, in addition to using their own savings. The villagers are willing to take out loans, and the government should work with them to complete the relocation as soon as possible, the Premier said. Before his visit to the village, the Premier bought gifts to wish the locals good luck ahead of Spring Festival, which begins on Jan 21. More than 5 million people were lifted from poverty in the province between 2011 and 2015. But Zhaotong, one of Yunnan’s four major poverty relief clusters, still has an enormous task to eliminate poverty. 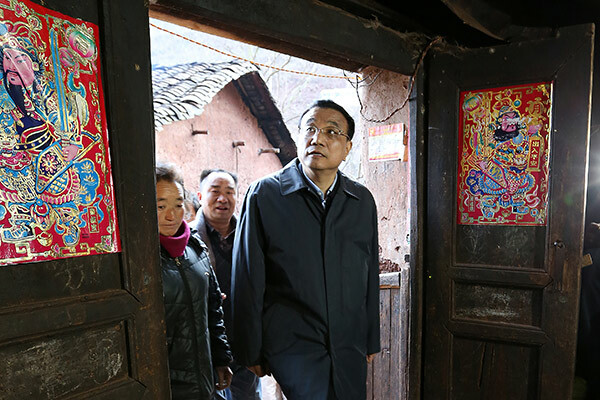 On Jan 23, Premier Li also visited the reconstructed village of Ganjiazhai, one of the places most damaged by a magnitude-6.5 earthquake that devastated Ludian county in Zhaotong in August 2014. The quake killed 617 people. In the quake’s aftermath, all 63 houses in Ganjiazhai were destroyed in a landslide, a catastrophe that killed 21 villagers and left 31 missing and 45 injured. The visit on Jan 23 was Premier Li’s latest one to the epicenter. A reconstruction plan funded by the central and provincial governments has made it possible for survivors to strive for a new life. In December 2015, Gan Yongrong, 47, and other villagers moved into their new homes, for which the government paid one-third of the cost. “Without the reconstruction plan, my family could not have moved into the new home in such a short time,” Gan said.